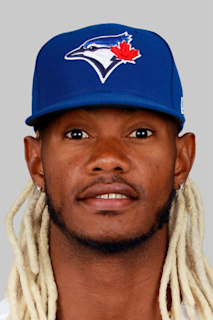 Raimel Antonio Tapia … resides in San Pedro de Macoris, Dominican Republic during the offseason ... Son of Rafael Tapia Sanatana and Mercedes Linarez … one of seven children, has three brothers and three sisters … his older brothers, Rafael Tapia, Antonio Linarez and Jose Linarez, all played professional baseball but none are currently active players ... His brother Antonio runs a little league program in the Dominican Republic ... In little league, Raimel wore the number 15, which is his favorite number. Spent a majority of the season with Triple-A Albuquerque and appeared in 25 games with the Rockies across two stints ... In 105 games with Triple-A Albuquerque, batted .302 (131-for-434) with 81 runs, 33 doubles, nine triples and 11 home runs … recorded 21 stolen bases and was caught stealing three times ... In 25 games with the Rockies, including three starts, batted .200 (5-for-25) with six runs, two doubles, one triple, one home run and six RBI ... Recorded his first career grand slam on July 20 at Arizona off Archie Bradley, a pinch-hit go-ahead grand slam in the seventh inning … it was the 12th pinch-hit grand slam in franchise history, the third pinch-hit go-ahead grand slam in franchise history. Appeared in 70 games across six stints with the Rockies, batting .288 (46-for-160) with two home runs, 16 RBI, eight walks and five stolen bases ... Started the season 0-for-15 … batted .315 (46-for-146) in 60 games after snapping the skid ... Hit .400 (24-for-60) at Coors Field … recorded at least one hit in 10 of 11 starts at home (.409, 18-for-44) ... Made 16 starts in right field, 14 in left field and one in center field … hit .293 (36-for-123) with nine doubles, one triple, two home runs and 11 RBI as a starter ... Batted .417 (5-for-12) with three doubles and three RBI in six games after his last recall on Sept. 7 ... Made his first career postseason appearance in the NL Wild Card Game at Arizona on Oct. 4 … recorded a base hit as a pinch-hitter ... Recorded a career-high three runs and four hits on June 14 at Pittsburgh ... Recorded his first Major League home run on June 30 at Arizona off of Robbie Ray ... First career walk-off RBI on June 15 vs. San Francisco, a single off of Hunter Strickland ... Played in 58 games for Triple-A Albuquerque and batted .369 (97-for-263) with 20 doubles, eight triples, two home runs and 30 RBI. Made his Major League debut as a pinch-hitter on Sept. 2 vs. Arizona and batted .263 (10-for- 38) in 22 games with the Rockies after his recall...Recorded a single for his first Major League hit in his first at-bat … hit safely in his first four Major League games (7-for-15; .467), including a season-high three hits on Sept. 4 vs. Arizona...In six starts with Colorado, batted .272 (7-for-27) with two RBI … hit leadoff and played center field in five consecutive starts from Sept. 3-7...Split the season between Double-A Hartford and Triple-A Albuquerque prior to promotion … promoted to Albuquerque on Aug. 9, where he hit .333 (31-for-93) with 13 runs, five doubles, four triples, 13 RBI, two walks and six stolen bases...Named a Midseason All-Star with Hartford after batting .323 (136-for-424) with 79 runs, 20 doubles, five triples, eight home runs, 34 RBI and 17 stolen bases...Led the Yard Goats in runs (79), hits (137) and triples (5)...Played in his second consecutive All-Star Futures Game in 2016, going 1-for-5 with two runs and two RBI, starting in left field. Named a Midseason, Postseason and MiLB.com Organization All-Star after batting .305 (166-for-544) with 74 runs, 24 doubles, nine triples, 12 home runs, 71 RBI and 26 stolen bases for High-A Modesto in the California League…Set career-highs in games played (131), hits (166), doubles, triples and home runs…Named the starting right fielder for the World Team in the 2015 All-Star Futures Game, going 2-for-3 with a run scored…Led the California League in hits, while finishing in the top five in doubles, triples and stolen bases…Hit .387 (53-for-137) vs. left-handed pitchers, .278 (113-for-407) vs. right-handed pitchers…Named to the Arizona Fall League All-Prospect Team and an Arizona Fall League Rising Star after batting .330 (29-for-88) with 14 runs, five doubles, two triples, one home run and eight RBI … hits ranked second in the league. Hit .326 (157-for-481) with 93 runs, 32 doubles, one triple, nine home runs, 72 RBI and 33 stolen bases for Asheville, earning Post-season All-Star and MiLB.com Organization All-Star honors ... Ranked second in the South Atlantic League in runs, third in batting average and sixth in stolen bases. Was named the TOPPS Pioneer League Player of the Year after he hit a league-leading .357 (92-for-258) with 53 runs, 20 doubles, six triples, seven home runs and 47 RBI for Rookie Level Grand Junction ... Was also named a Pioneer League Post-Season All-Star, MiLB.com Organization All-Star and a TOPPS ShortSeason/Rookie All-Star ... Led all Short-Season Minor Leaguers with 92 hits and was among the top 10 in runs, doubles, triples, slugging percentage (.562) and extra-base hits (33). Hit .316 (75-for-237) with 31 runs, nine doubles, one triple, 35 RBI and 13 stolen bases in 63 games with the Dominican Summer League Rockies ... Hit .336 (41-for-122) with six doubles and 19 RBI in the first half of the season, and .296 (34-for-115) with three doubles and 16 RBI in the second half. In his first professional season, hit .262 (65-for-248) with 29 runs, six doubles, three triples, one home run, 35 RBI and 15 stolen bases for the Dominican Summer League Rockies ... Led the club in at-bats and RBI and was second in games played. September 4, 2018 Colorado Rockies recalled CF Raimel Tapia from Albuquerque Isotopes. July 27, 2018 Colorado Rockies optioned CF Raimel Tapia to Albuquerque Isotopes. June 30, 2018 Colorado Rockies recalled Raimel Tapia from Albuquerque Isotopes. March 27, 2018 Colorado Rockies optioned CF Raimel Tapia to Albuquerque Isotopes. September 7, 2017 Colorado Rockies recalled CF Raimel Tapia from Albuquerque Isotopes. August 28, 2017 Colorado Rockies optioned CF Raimel Tapia to Albuquerque Isotopes. August 22, 2017 Colorado Rockies recalled Raimel Tapia from Albuquerque Isotopes. August 11, 2017 Colorado Rockies optioned CF Raimel Tapia to Albuquerque Isotopes. July 29, 2017 Colorado Rockies recalled Raimel Tapia from Albuquerque Isotopes. July 18, 2017 Colorado Rockies optioned CF Raimel Tapia to Albuquerque Isotopes. June 6, 2017 Colorado Rockies recalled Raimel Tapia from Albuquerque Isotopes. May 22, 2017 Colorado Rockies optioned CF Raimel Tapia to Albuquerque Isotopes. May 12, 2017 Colorado Rockies recalled Raimel Tapia from Albuquerque Isotopes. April 18, 2017 Colorado Rockies optioned CF Raimel Tapia to Albuquerque Isotopes. April 14, 2017 Colorado Rockies recalled Raimel Tapia from Albuquerque Isotopes. March 27, 2017 Colorado Rockies optioned CF Raimel Tapia to Albuquerque Isotopes. October 20, 2016 OF Raimel Tapia assigned to Estrellas Orientales. September 2, 2016 Colorado Rockies recalled Raimel Tapia from Albuquerque Isotopes. August 9, 2016 CF Raimel Tapia assigned to Albuquerque Isotopes from Hartford Yard Goats. March 18, 2016 Colorado Rockies optioned OF Raimel Tapia to Hartford Yard Goats. November 20, 2015 Colorado Rockies selected the contract of Raimel Tapia from Modesto Nuts. October 8, 2015 OF Raimel Tapia assigned to Salt River Rafters. April 4, 2015 LF Raimel Tapia assigned to Modesto Nuts from Asheville Tourists. March 12, 2015 OF Raimel Tapia assigned to Colorado Rockies. March 31, 2014 LF Raimel Tapia assigned to Asheville Tourists from Grand Junction Rockies. June 1, 2013 OF Raimel Tapia assigned to Grand Junction Rockies from DSL Rockies. May 28, 2011 Raimel Tapia assigned to DSL Rockies.